There are a lot of things that can affect the cost of your kitchen remodel including labor, choice of appliances, flooring, lighting, plumbing and any unforeseen problems like material or labor availability. Expensive materials and appliances can require a different skill set for installation and can increase the cost of labor. If you can choose less expensive materials that you can install yourself you will quickly see the total budget decreasing. If you don't have these skills, knowing to choose less expensive materials that are easier to install will still impact your budget in a good way. The guide for a kitchen remodel is between 5-15% of the value of a home. That can be a lot of money. But that is only a guide. 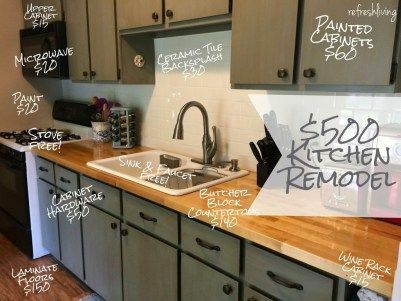 If you want to stick with a small kitchen remodel budget in the $5,000 range, you can. 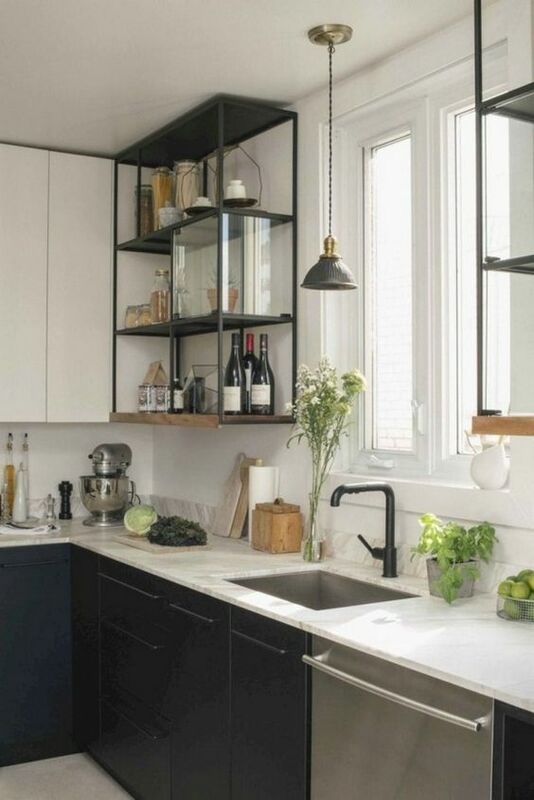 As long as you are willing to do the remodeling work and spend the bulk of your budget on cheap kitchen cabinets, and less on expensive materials you can get a great kitchen and stay within budget. If you have a budget to do a remodel in the $20,000 range, the better option is to use your budget to hire professionals and buy materials. Make sure you leave some money aside for unforeseen costs. To reduce costs, do your kitchen remodel in the off-season. During fall or winter is when contractors are traditionally less busy and often charge less. Always get more than one quote before signing up with any remodeling company. This video will give you some great ideas on where and how to save money in your kitchen remodel. Keep reading because there are also ideas on how to get free - low cost cabinets. Warning! This video is very long (almost 50mins) but it is thorough going through subway tiles etc. To get just the paint ideas watch the video below that. Its less than 2 minutes. The National Kitchen and Bath Association states that kitchen cabinets are one of the main budget expenses, next is labor, appliances, countertops, floor, lighting followed by plumbing, doors and windows. According to HGTV stock cheap kitchen cabinets cost $60 to $200 per linear foot. Next are semi-custom kitchen cabinets cost between $100 to $650 per linear foot. Custom cabinets can cost between $500 and $1,200 per linear foot. One way of reducing the budget is to select less expensive alternatives using stock cabinetry, laminate countertops and tile flooring, and finishing any painting or staining yourself. When it comes to cabinetry, you can find cheap and even free cabinets on Craigs List or at a Habitat for Humanity store. These options are definitely worth investigating. If you are lucky your only cost might be shipping. Either way, you will save a substantial amount of your budget right there. While its tempting to do all the work yourself using Youtube as your guide, you should never approach electrical, plumbing or structural projects yourself, or you could cause more problems and have major repairs on your hands. If you don't have a budget to hire a professional all is not lost. 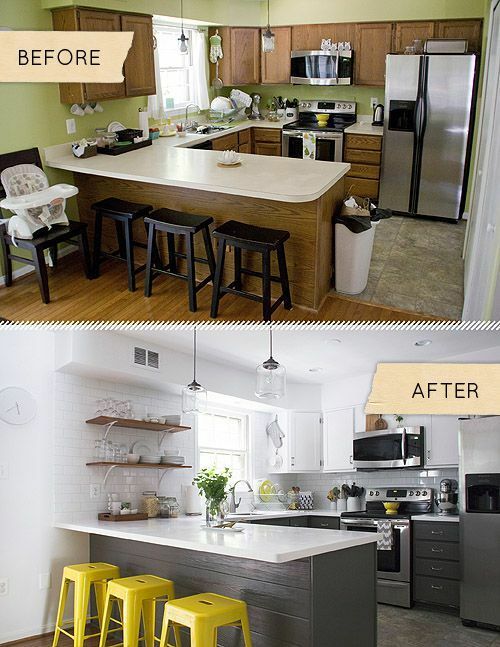 There are smaller inexpensive projects to revitalize your kitchen. 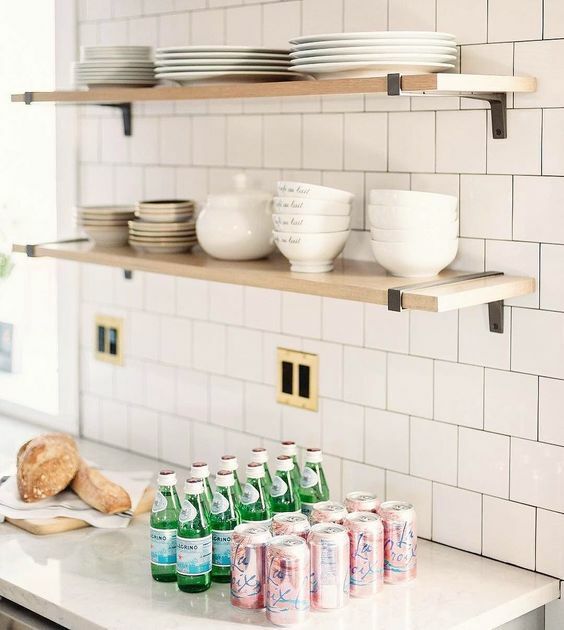 Use stock cabinetry. This is an inexpensive option if you want new cabinets. After purchasing them use a professional or handyman to install them or install them yourself. Avoid moving gas, plumbing or electrical hook ups. See if you can keep kitchen appliances in their current positions. Keeping the Same Footprint. If you are on a tight budget improving the kitchen layout and footprint for better functionality will probably increase your remodel costs. To keep the budget low, stick with the existing footprint. Refinish or resurface kitchen cabinets. Often wood kitchen cabinets are in good order. You can either remove and paint or refinish the doors or you can replace the doors for a brand new look. Improve your lighting. Dull corners and countertops can make kitchens look smaller and less functional, especially in the middle of winter or at night. Use quality task lighting under cabinets, over islands or by your windows to brighten up your kitchen space. Many of these you can do without hiring an electrician. If you have the funds to hire an electrician consider adding recessed lighting. Paint. One of the cheapest way to change the look of any room is with paint. This is an opportunity to change the look of your kitchen with a feature wall, bold paint color for walls or ceiling. 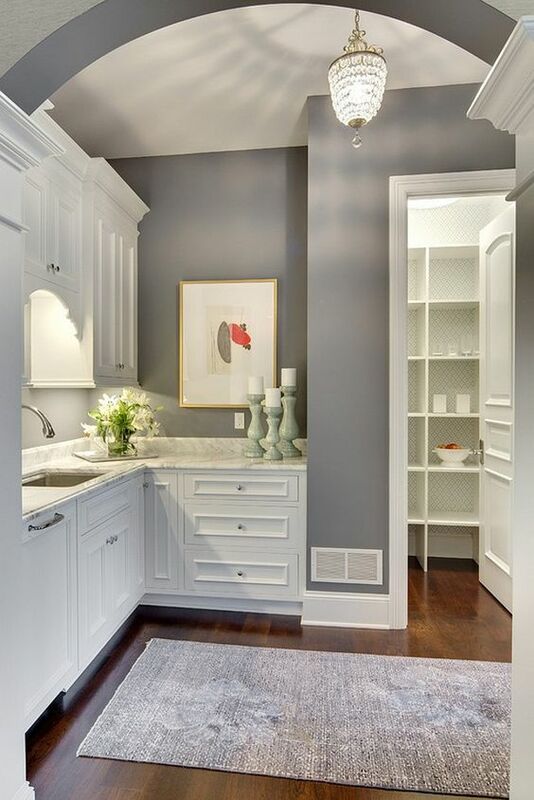 By creating a strong feature, you reduce the need for high end cabinets or even appliances. Flooring. Hardwood floors should be resurfaced and stained if possible. 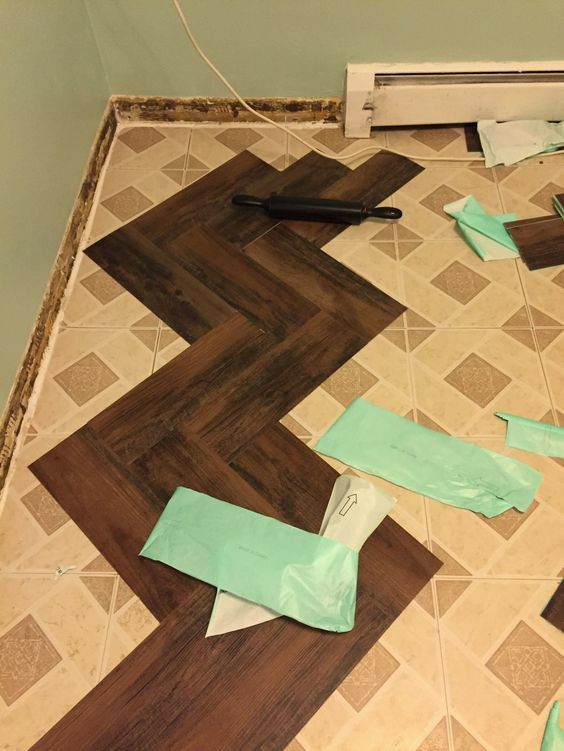 If you don't have quality flooring lay tiles. There are many vinyl and composite materials that look like wood flooring. 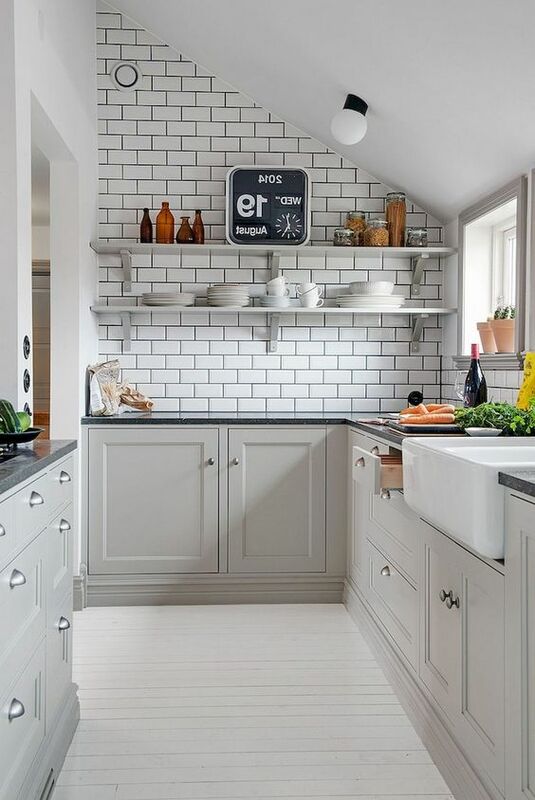 Ceramic tiles are inexpensive and could be a better option, depending on the size of your kitchen. Hardware. 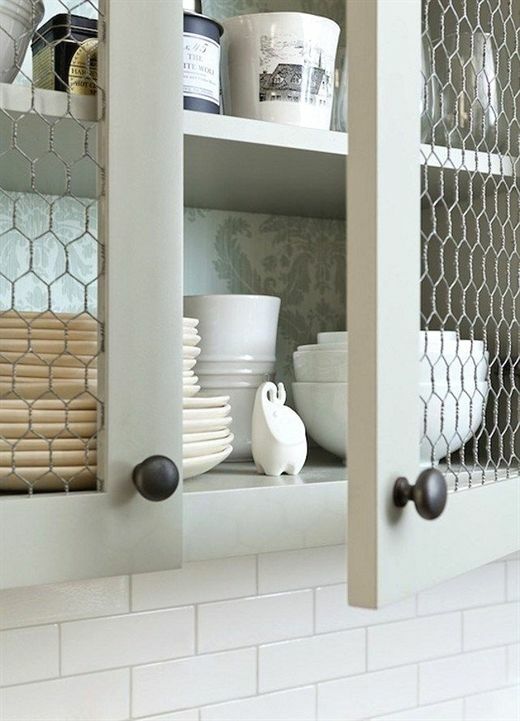 New, vintage, brass, gold or black hardware is the kind of detail that can change the look of your kitchen cabinets quickly. Go for hardware that looks expensive, even if its not. 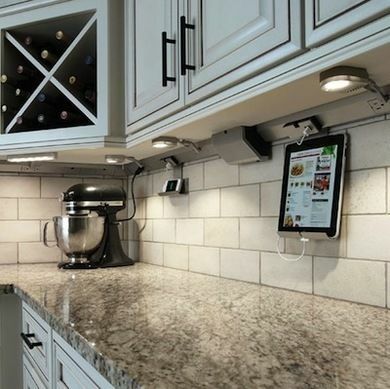 This will set the tone of your kitchen making it look more expensive than it is. Backsplash. If you have decided on tiles for the floor use the same, or similar, on your kitchen backsplash, a wall, near your oven or above countertops. You can attract the eye and create an interesting accent making your kitchen design unique. Tiles come in many styles and colors to match any kitchen design including peel and stick versions for a fast makeover. 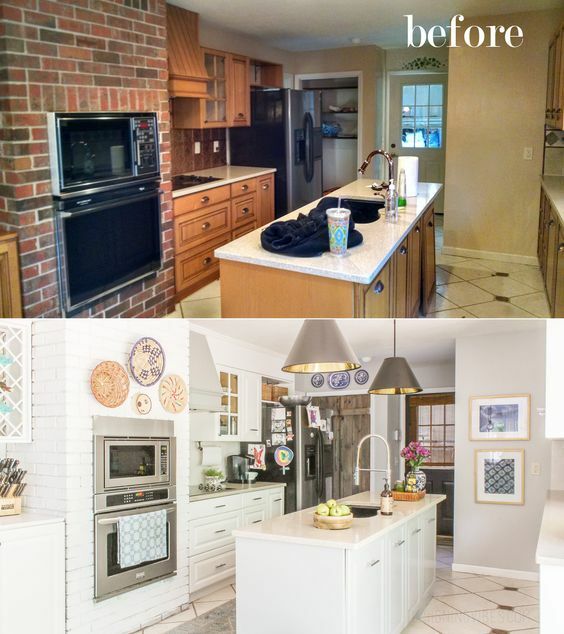 While its nice to think that you can spend a large amount of money on remodeling your kitchen, its even nicer to know that you can come very close by spending much less, and still have a beautiful working space.